A honeymoon in the UK can be a great way to keep down costs, avoid the hassle of flying and explore some of the most beautiful parts of this country. It’s also handy if you are time-poor, cash-rich. Or even if you’re time-poor, cash-poor! Here are my suggestions for the best honeymoon destinations and packages in the UK. Scotland is always a romantic destinations whether you’re enjoying the long days of summer or cosying up beside a fire in winter. 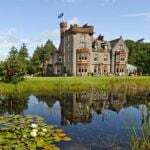 Check out this 5-night self-drive luxury Scottish honeymoon where you’ll stay at a five-star hotel in Edinburgh, a lodge on the shores of Loch Ness and a private island off the coast of Argyll. 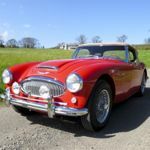 It costs from £885 (about US$1,140) per person and there is an option to upgrade to a classic car such as a Mini Cooper or Austin Healey. Or get married at the Lockerbie Estate which can accommodate up to 100 guests in the main house. If you want to get away to the countryside you can’t beat these honeymoon hideaways in Wales. 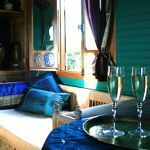 You’ll find great-value cottages for two, shepherd’s huts and luxury yurts in the Brecon Beacons, the Black Mountains, Snowdonia and the Wye Valley. Gilpin Lake House in the Lake District is truly stunning – a collection of six suites set in 100 acres of private grounds of a Relais & Châteaux hotel, with a lake, indoor swimming pool and a new lakefront spa. If you’re looking for country house elegance, you can’t beat Lucknam Park Hotel & Spa set in 500 acres of park and woodland just six miles from Bath. There’s a Michelin-starred restaurant plus a contemporary Brasserie, a renowned Cookery School and a luxury spa. There’s a reason why Cornwall continues to rank amongst the most popular honeymoon destinations in the UK. The coastline is gorgeous whether you’re tempted by beaches or dramatic walking paths, the food is amazing, there are plenty of things to see and do, and of course you can have a go at surfing. I-escape.com has some marvellous places to stay. If you’re looking for a budget honeymoon in the UK, you should consider self-catering. For charming cottages in the English countryside, we recommend Rural Retreats. It has romantic retreats across the country, including the seafront Barnacles in Fowey, Cornwall and the charming thatched Field Cottage in the Cotswolds. It has former lighthouse keepers’ cottages and properties for two costing from around £500 (US$640) for a week. Check out this Big Day collection of properties you can rent for a wedding. 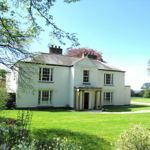 Examples include Chateau on the River Eden in Cumbria and Torridge Country House in Devon. 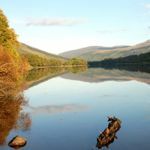 Kirker Holidays is a great place to go for ideas if you want to treat yourselves to a grand hotel – whether for your honeymoon proper, a short stay before you fly away or a mini-moon in the UK with a more adventurous overseas trip down the line. Examples include the Balmoral in Edinburgh and Brown’s in London’s Mayfair. Still looking? Try our fun honeymoon quiz or see our complete guide to honeymoon planning.